Beer Summit, one of the longest running and most respected craft beer tasting events in New England, returns this fall for its annual Beer Summit Harvest Fest taking place November 20 & 21, 2015. Beer Summit Harvest Fest gives beer lovers the chance to experience over 60 breweries pouring 200+ beers and the opportunity to meet some of the best brewers in the country. Named by Boston Magazine as “Best Booze Festival” in its 2015 “Best of Boston” issue, Beer Summit places emphasis on local beers, with a great amount from New England, but also shines a spotlight on talented breweries from around the country and overseas. With the first Boston Beer Summit held in 1999 and seasonal shows including Harvest Fest held each year since, this November will mark the 49th Beer Summit event in the city. 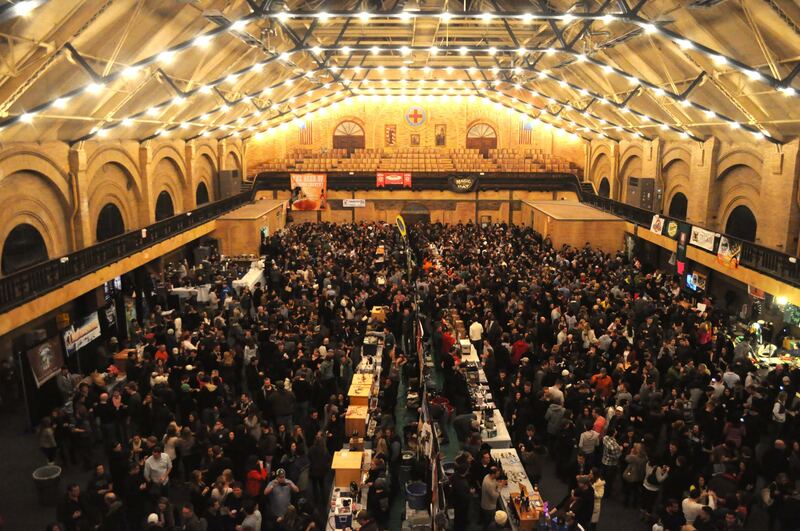 Beer Summit Harvest Fest is held at the Castle at Park Plaza, 130 Columbus Ave in Boston, MA. Tickets for the three different tasting sessions are on sale now at www.beersummit.com and are expected to sell out in advance. Curated by Beer Summit founders Mike Munnelly, Conor Brennan and Shawn Rich, Beer Summit Harvest Fest brings together some of the most celebrated and talked about breweries in the country, some of which will be pouring a variety of great seasonal offerings – perfect for November’s autumn chill. Beer Summit once again welcomes a number of Massachusetts based breweries to its event, including Opa Opa Brewing Company from Williamsburg, Bad Martha from Martha’s Vineyard, Down The Road Beer Co. from Everett, Naukabout Beer from North Dartmouth and Lookout Farm Cider House from Natick. “This fall’s Harvest Fest will feature one of our most exciting brewery lineups yet. With our fall event, we’re able to showcase some great seasonal autumn brews as well as preview some of the coming winter offerings from New England and beyond. With 200 plus different beers being poured, there is really something for every type of beer drinker to discover,” says Mike Munnelly, co-owner of Beer Summit. Allowing ticket-holders to explore some of the world’s most unique and celebrated breweries, Victory Brewing from Downington, PA, Stone Brewing Company from San Diego, CA, Finch’s Beer Company from Chicago, IL, Crean’s from Dingle Brewing Company in Dingle, Ireland and Stiegl Pils from Salzburg, Austria will all appear at Beer Summit Harvest Fest. As with each Beer Summit event, attendees can also enjoy foods from local vendors and music entertainment.